Publish your own ERC20 tokens in 10 minutes. 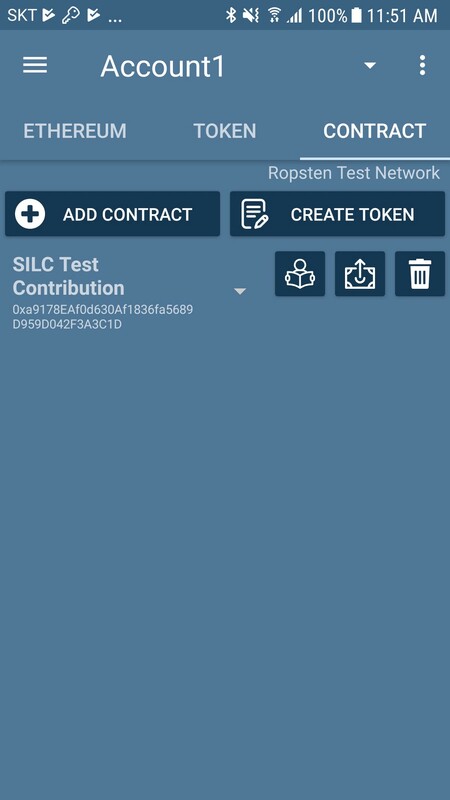 I will create a contract and publish the token within 6 minutes, including the time to install the app. What you need is an Android phone. 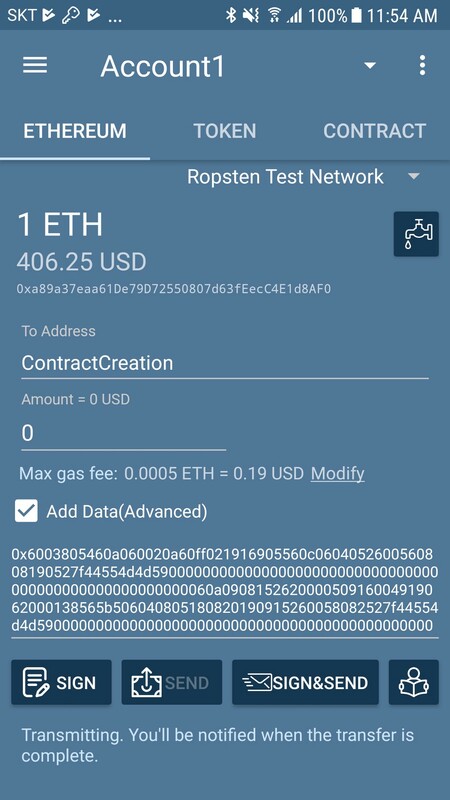 This demo used Ropsten Testnet, but it will not be nearly the same on Mainnet. So let’s get started. For those who prefer video, please refer to the video at end of posting. 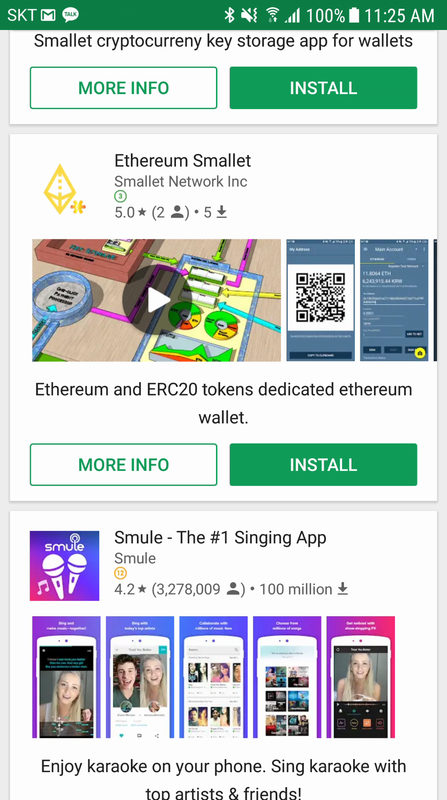 Go to Google Play and search for “smallet” and install “Ethereum Smallet”. 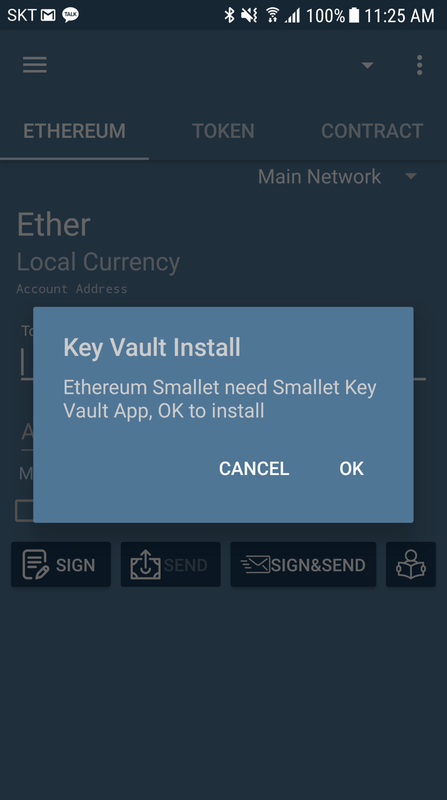 When you run it, you will be prompted to install the “key vault” as shown in the screen above. I’ll explain why the Keystore and Wallet apps are separate. First of all, I install it according to the guidance. 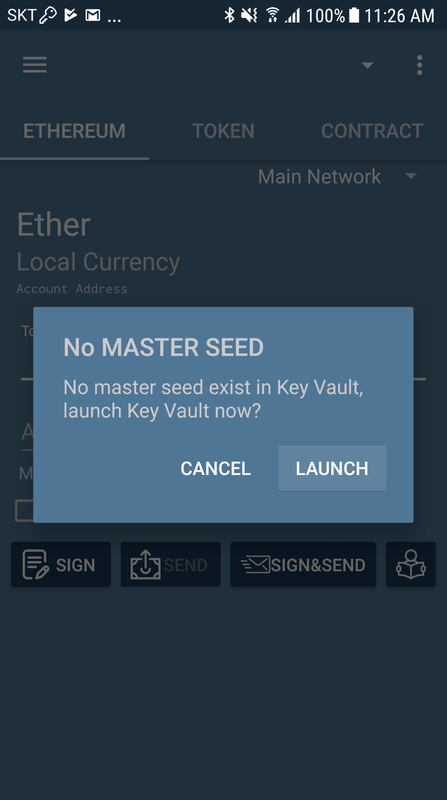 The first time you run Ethereum Smallet, the “No master seed” message will be displayed and the Key Vault will be executed again. Entering a password in the key vault will create a new master seed. 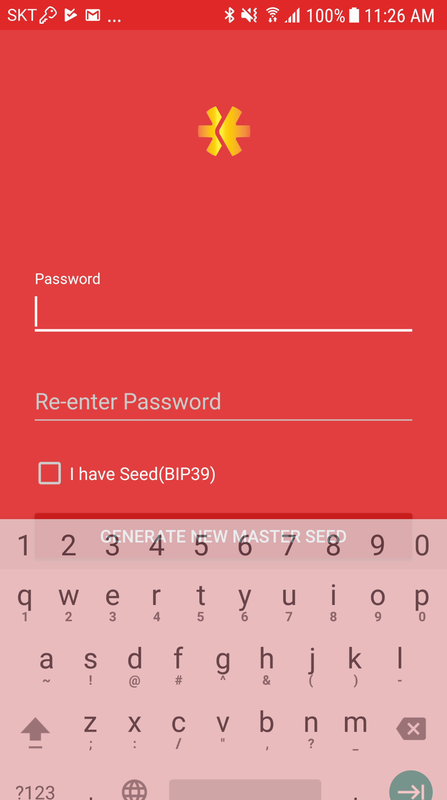 The key bolt will generate the wallet keys using the master seed according to the BIP39 standard. 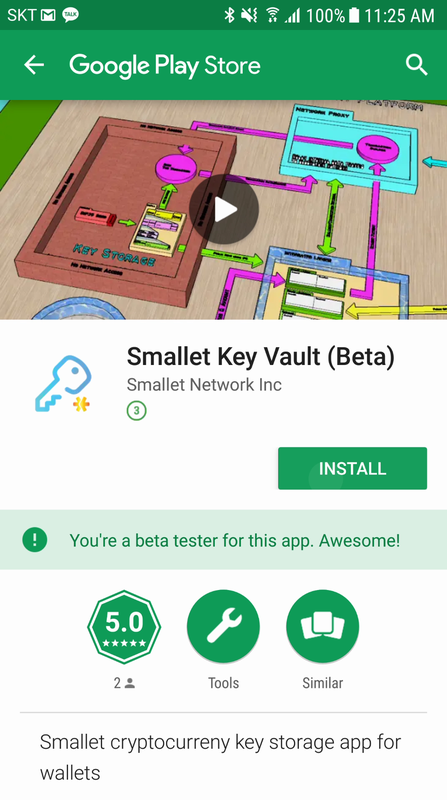 Wallet key generation in the key Vault is automatic. 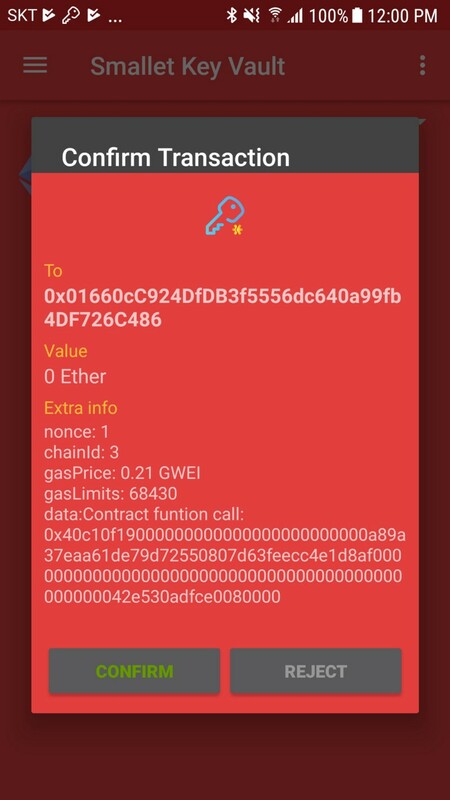 Wait a few moments for the display to return to Ethereum Smallet. 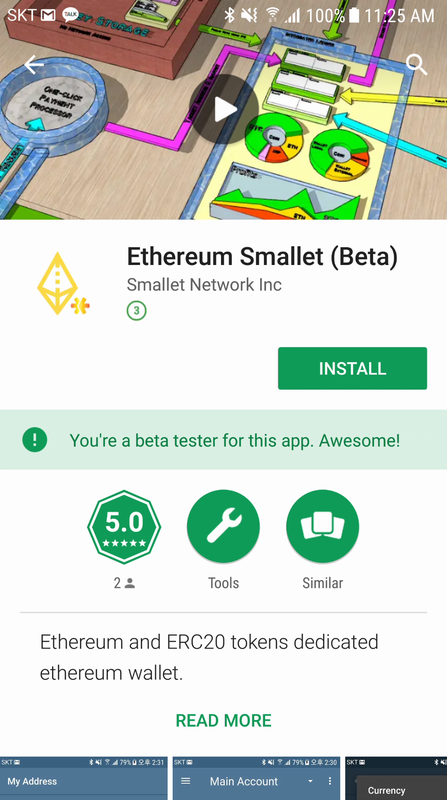 Ethereum Smallet supports four Ethernet networks. Select Ropsten Test Network. 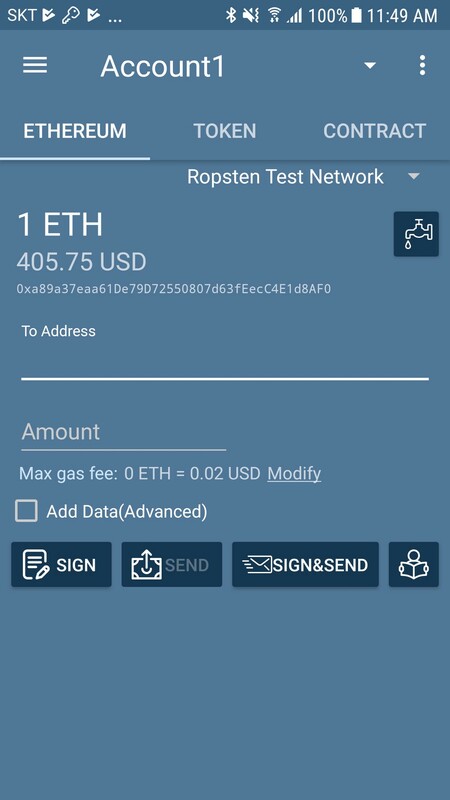 If you select Ropsten Test Network, the faucet will appear on the upper right of the screen. 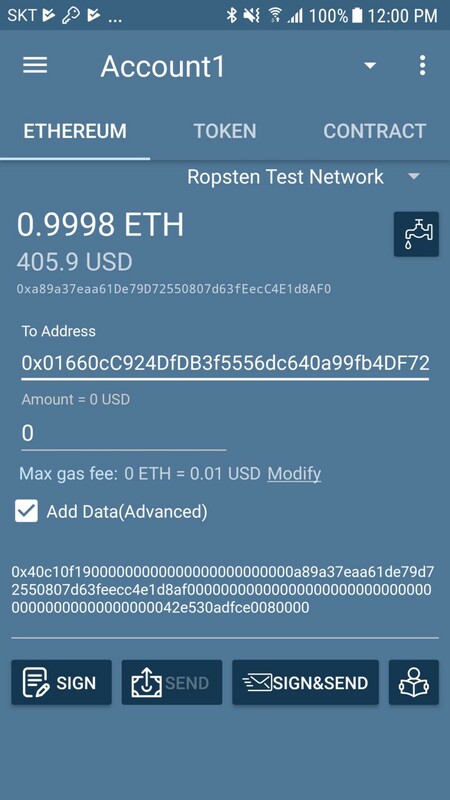 If you press this button, you will receive one test Ether. For reference, you can apply for one test per day. When you apply and wait a little while, Ether comes in. The balance is not automatically renewed. Please pull down the screen to update or click on the book readers icon at the bottom right of the screen. 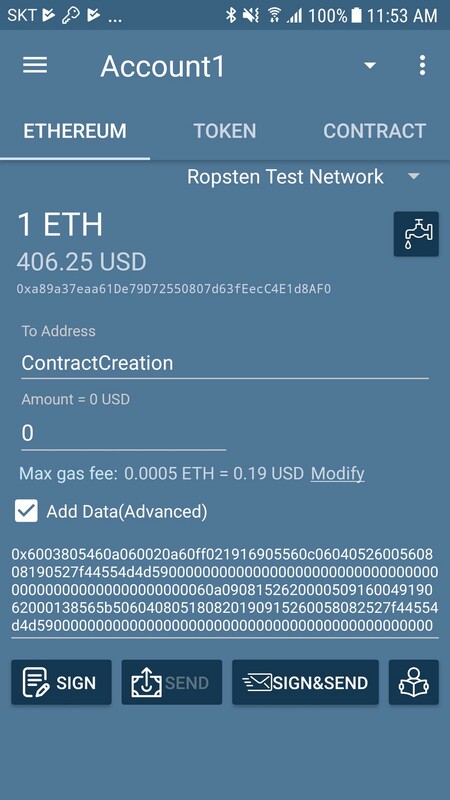 Once the Ether is in, go to the Contract tab and touch the “Create Token” button. 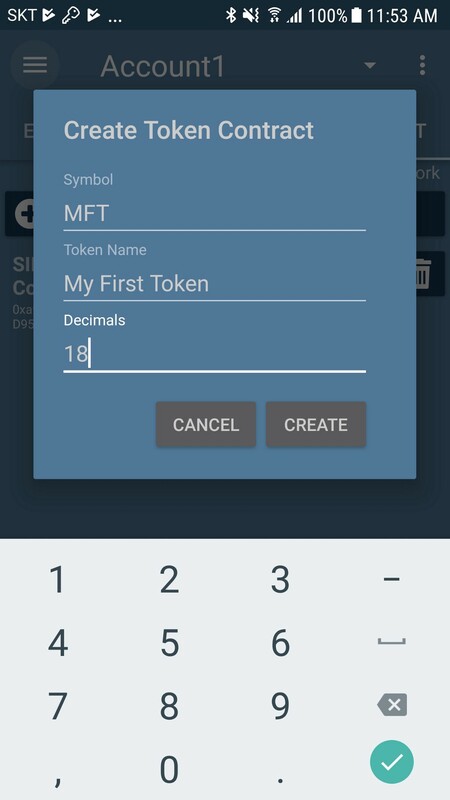 Enter the desired token symbol, name, and decimal place as shown in the screen above and click the “Create” button. 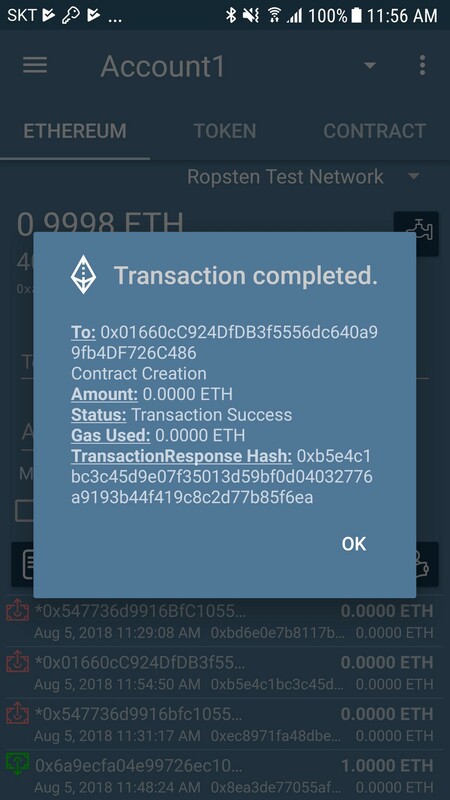 The screen is automatically moved back to the Ethereum tab. Press the “Sign & Send” button because all the inputs required to generate the token are complete. 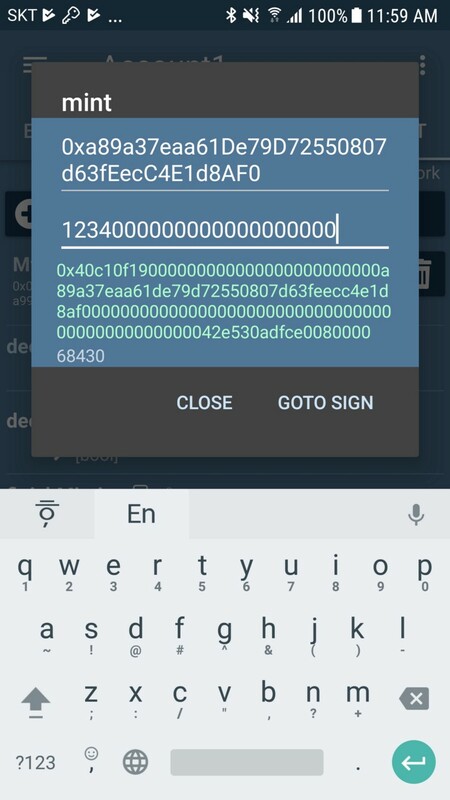 If you sign on like the screen, you will automatically go back to the Key Vault app and sign there. All private keys are kept by the key vault. Click “Confirm”. Transmit the transaction and wait until it is recorded in the block chain. Wait until you see the “Transfer complete” message on the screen. It will usually be within one minute. Click OK. In the above step, the creation of the token contract on the block chain is completed, but the process of adding the token and the contract created in the wallet is performed automatically for convenience. 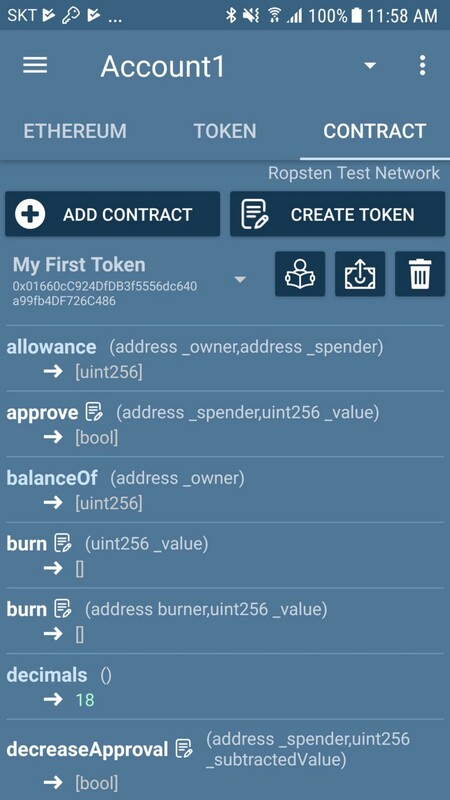 Add a token and add a contract. All are entered automatically without any input. Now try to issue the token. Go to the Contracts tab. 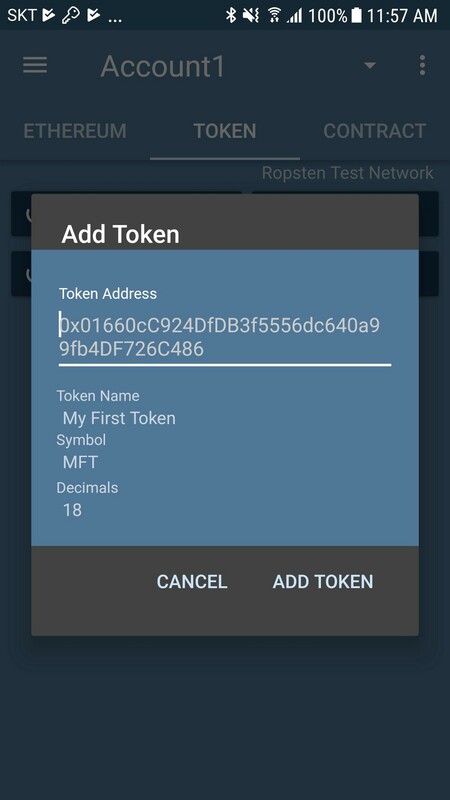 Place the address to receive the token in advance on the clipboard. In the demo, I have copied my current account by selecting “Address to receive” from the top left menu to receive the current account. 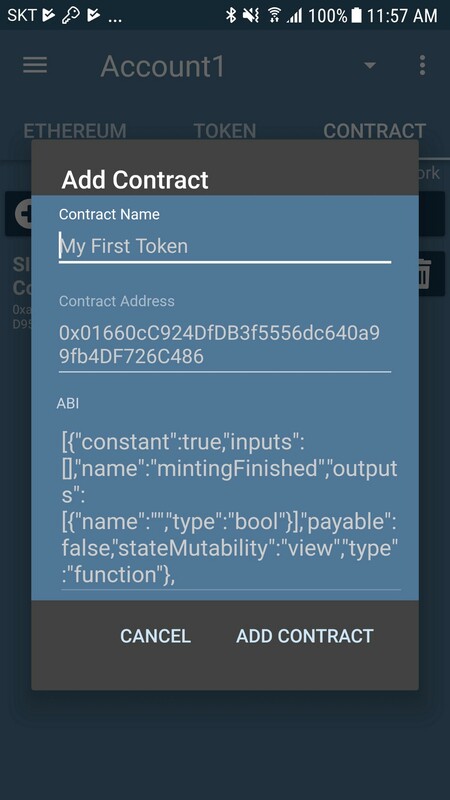 On the Contract tab, select the “My First Token” contract (probably already selected). 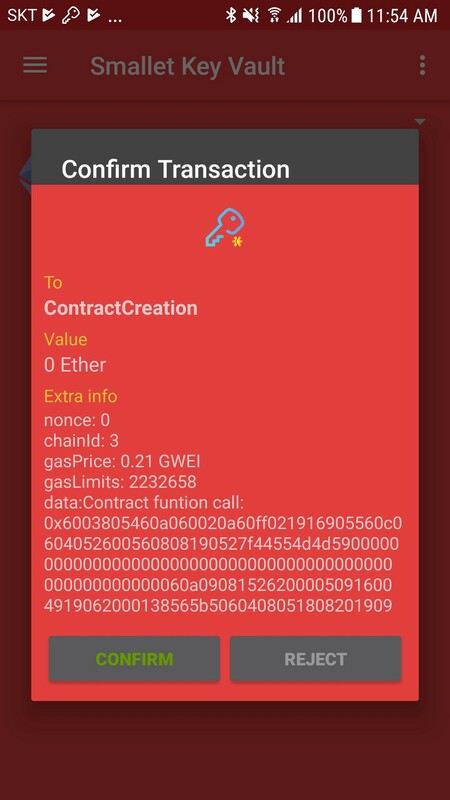 Touch the icon to read the book on the right side of the contract name, and the functions provided by the contract will be listed at the bottom as shown above. Select “mint” among them. 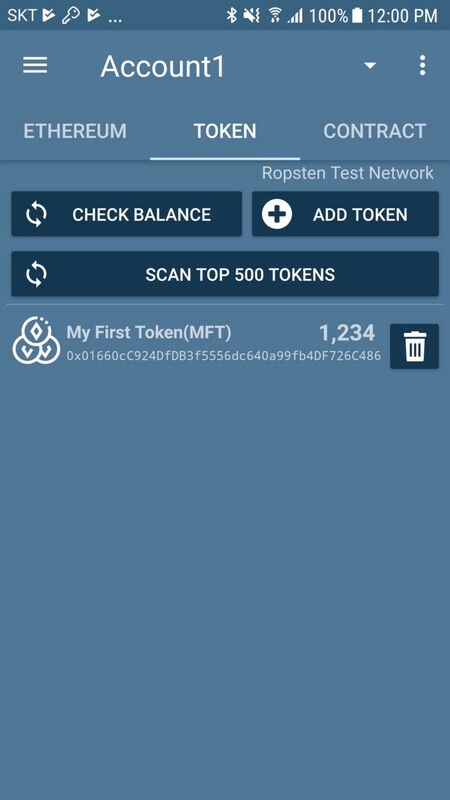 If you touch mint, you will enter the address and quantity to receive the token like the above screen. There are a lot of “0s” in the quantity. Since you gave the decimal point 18 when you created the contract, you have to enter 18 “0” to send one token. The above example is for sending 1,234 tokens. There are 21 “0” s. When you are finished, touch “Sign”. 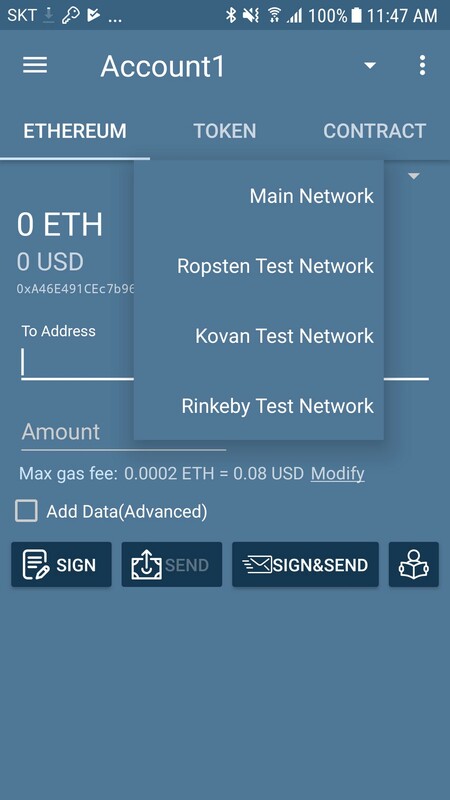 Just as you did when creating a contract, you can transfer and sign in again on the “Ethereum” tab. If you go to the Token tab, you can see that the token is in. 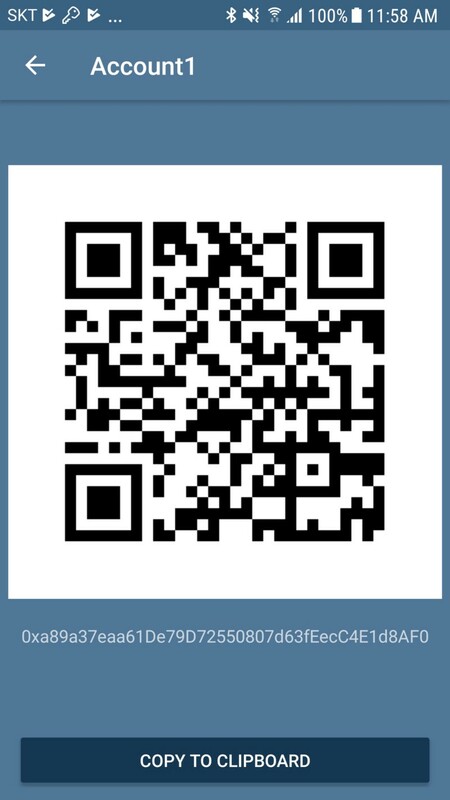 Information on the accounts used in this demo can be found at the following etherscan.io link. If you look at the source code is already verified all the source code is seen. Even if you do not verify it separately, I will explain it to you at another opportunity later. I have put the whole process into a video.